Der Artikel Dimitri Kabalewsky (1904-1987): Klavierkonzert Nr.3 wurde in den Warenkorb gelegt. 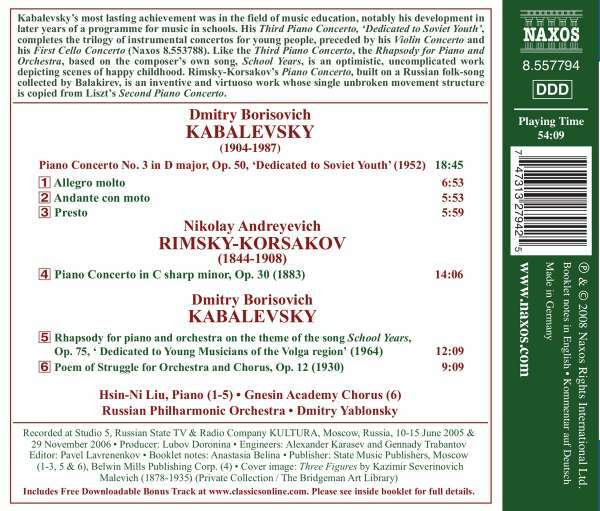 Kabalevsky's most lasting achievement was in the field of music education, notably his development in later years of a programme for music in schools. 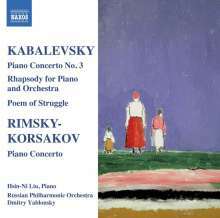 His Third Piano Concerto, ›Dedicated to Soviet Youth‹, completes the trilogy of instrumental concertos for young people, preceded by his Violin Concerto and his First Cello Concerto (Naxos 8. 553788). Like the Third Piano Concerto, the Rhapsody for Piano and Orchestra, based on the composer's own song, School Years, is an optimistic, uncomplicated work depicting scenes of happy childhood. 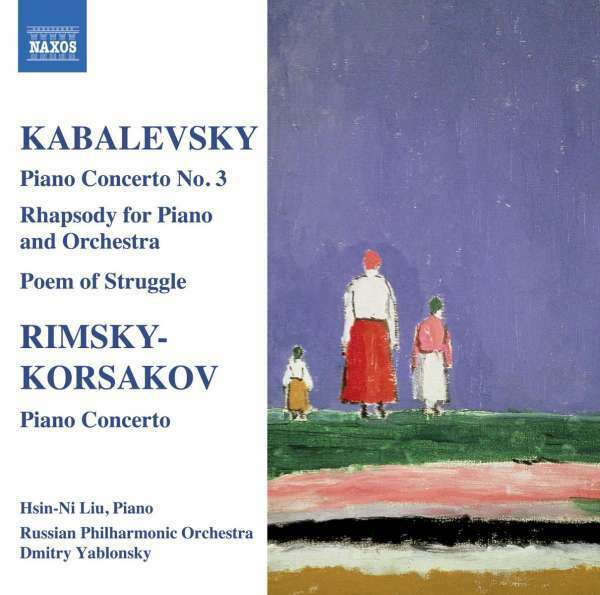 Rimsky-Korsakov's Piano Concerto, built on a Russian folk-song collected by Balakirev, is an inventive and virtuoso work whose single unbroken movement structure is copied from Liszt's Second Piano Concerto.